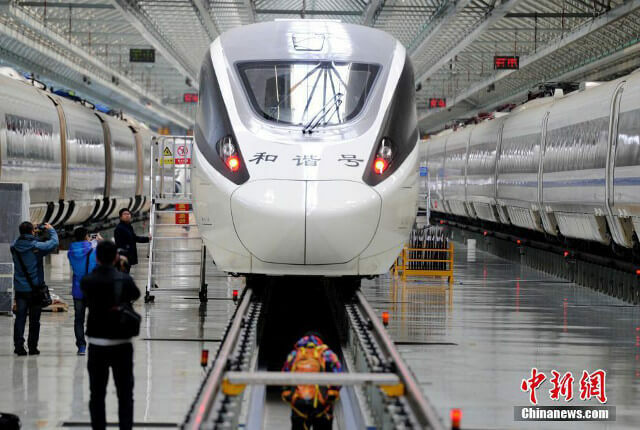 The new trains have been nicknamed "Pandas", not because they're fat and slow (and don't know how to get laid), but due to the black and white design of the vehicles nose. As the front part of the train appears almost to have two black eyes, fans call the CRH5E the "Panda." SO WHAT'RE THE FEATURES OF THE NEW TRAINS? 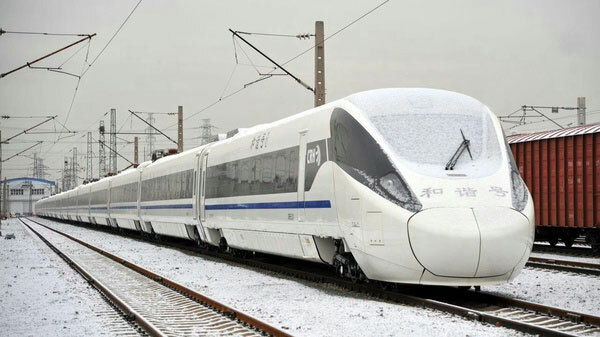 CRH5E trains are developed to function in extreme cold down to minus 40 degrees Celsius, (-40℃) with a speed of 250 kilometers per hour. The high speed trains can run from northeast China down to Shenzhen in south China regardless of the huge temperature fluctuation. 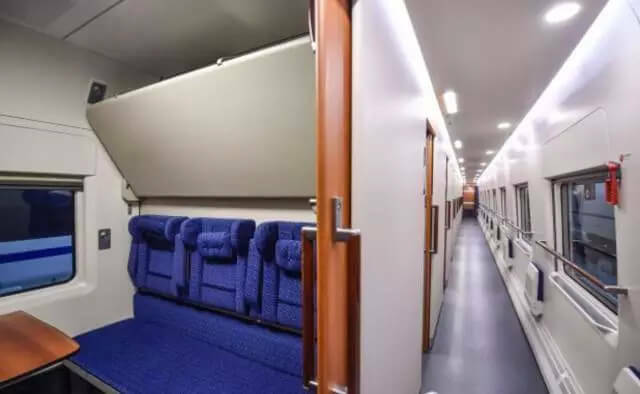 Thirteen of the 16 carriages feature the fold up beds that can be stored away during the daytime. The seats are also equipped with a backrest, armrests and cup holders in order to maximize passengers' comfort. 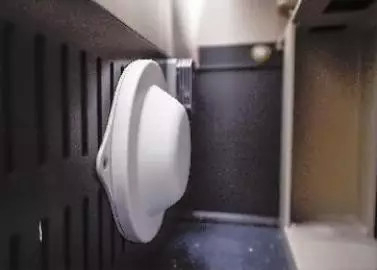 More importantly, the compartments are equipped with WiFi. 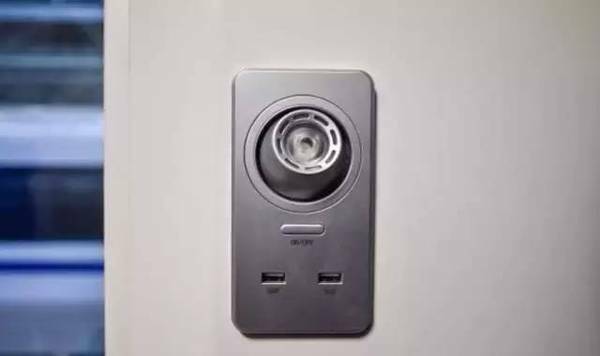 USB ports are under the bed light. Each compartment has four power sockets. 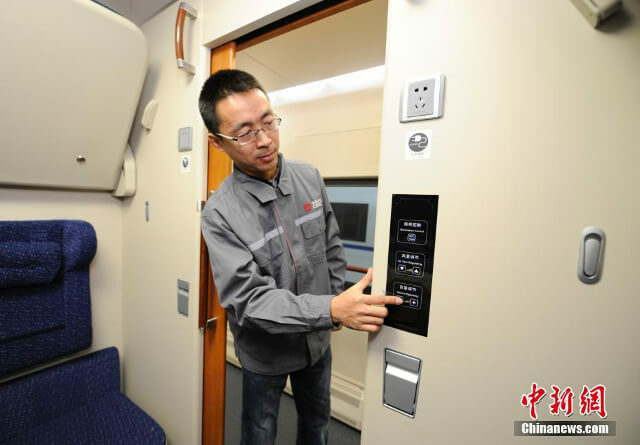 According to the manager, the train has sound proofing and vibration damping systems. They can reduce noise inside the train cars to 65 decibels when the train runs at a maximum speed of 250 km per hour. WHY DON'T TAKE CHINA HIGH SPEED TRAIN NOW? Chinaticketonline.com provides hassle-free online train ticket booking service to foreign visitors. Wanna take a high speed train in China? Just try us out!